Oracle Business Intelligence Enterprise Edition or Siebel analytics is one of the most important business intelligence (BI) tool. Lot of peoples face difficulty while designing the resume of OBIEE.Every person in OBIEE team has its own role and responsibilities.In my previous article i have shared important OBIEE tutorials.Only having technical knowledge is not important.To understand OBIEE developer roles and responsibilities is equally important.Everyone should have proper understanding of OBIEE developer roles and responsibilities.In OBIEE also there are 2 parts one is Report developer and other is Repository developer which is also called as RPD developer.I will try to explain responsibilities of reporting developer as well as RPD developer.Sometimes there is situation where developer needs to work on both reporting as well as RPD. 1.Understanding and Collecting requirements from Business user side or Business Analyst and make the model using the requirement. If user wants to design the simple relationship between student and marks table and need to show average marks. So in this case user needs to define fact table and Dimension table and need to draw model as per requirement given. 3.Converting complex sql query solutions in to OBIEE model solutions. 4.1.Physical layer : Adding the connectivity and tables. 5.Performance tuning of OBIEE Application at repository level. 6.Security implementation of OBIEE repository level. 7.Translating business requirements in to technical requirements. 8.Implementing Repository variables as well as system variables as per business requirement. 9.Implementing Opaque views whenever necessary. 10.Working with PL SQL Procedures,Functions,Packages,Views,Materialized views whenever necessary. 11.Adding new columns in RPD as per business requirement. 12.Working with aggregates,cubes,hierarchies whenever necessary. 13.Working with Dynamic variables and initialization blocks. 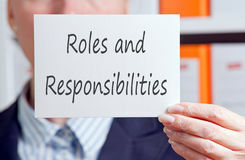 These are some day to day responsibilities of RPD developer or OBIEE developer roles and responsibilities.The Report developer have some different responsibilities.The report developer is responsible for developing as well as enhancing reports.Report developer also takes care of tuning the report at database level as well as application level. 1.Report developer should know how to read RPD and check whether new column given by Business is available at RPD level or not.If the column is not available add that column with help of RPD developer. 2.Design the reports by understanding the business requirements of Business. 4.Adding validations in the report. Means if user only wants to see the data month wise the report developer is responsible to handle that validation at Report level. 5.Working with the Presentation variables and how it is used at obiee reporting level. 6.Enhancing the reports as per customer requirements. 7.Understand the business requirement and implement different graphs,charts as per requirement. 8.Creating interactive dashboards as per business requirement. 9.Working with BI Answers(Analysis) and Delivers. 10.Working with Scheduling the different reports as per requirement. 11.Configuring Ibots for scheduling the complex reports. 12.Performance tuning of the reports by creating the right indexes on the column of the tables. 13.Working with Cache feeding techniques at application level. 14.Giving rights and access to the specific reports and dashboards. These are some basic roles and responsibilities of OBIEE report developer.Hope this article on OBIEE developer roles and responsibilities and i am sure that this article will help the users to understand different roles and responsibilities of OBIEE developer.Kindly comment in comment section if anyone wants the Sample Resume for OBIEE developer.